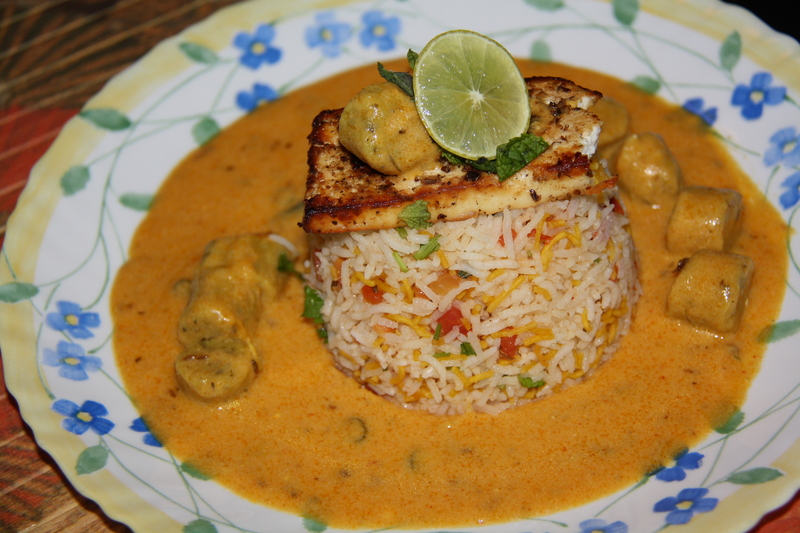 My love for traditional Indian fare is well known and I have discussed this in my previous posts. I do not like to tamper with the classics but sometimes you like to give it your own twist. One such craft master whose expertise is well known Michelin star awarded Chef Vineet Bhatia who owns Rasoi in London, Geneva and Indego by Vineet in Dubai. I have been following his culinary journey to Indian cities looking for unique flavors and incorporating his own take on them in his popular series showcased on “Twist of Taste” on Fox Traveller with his beautiful wife Rashima in Season 1 who used to uncover the tourist attractions or shopping secrets the city had to offer. I even tried the Besan Chilla stuffed with Dal served with a side of crispy okra. Unfortunately I’m not able to find a picture for that as yet. I was at my mum’s place last month and was catching up on Season 2 wherein this recipe for Oats Masala Idli was showcased. I immediately tried this recipe since I knew it would be great as a evening snack. Healthy, nutritious and a quick savoury dish which can be served to a hungry army in a jiffy. Dry roast cooking oats and semolina in separate pans on medium heat and keep it aside. Whisk yoghurt and add the oats and semolina to it. Blend well and let the mixture rest for a while. Now prepare the tempering, heat oil in a pan and add mustard seeds, once it splutters add curry leaves, fenugreek seeds, urad dal, green chillies and let the flavors get infused. Add onions and cook them until they are translucent. Now add grated carrots to the mixture. Add salt to taste, you may also add coriander powder I skipped this. Saute them for a minute and take it off the heat. Allow it to cool for sometime and then add this to the oats mixture. Add fresh coriander to the mixture and blend well. In a idli steamer, pour little water and grease the idli moulds with little oil. 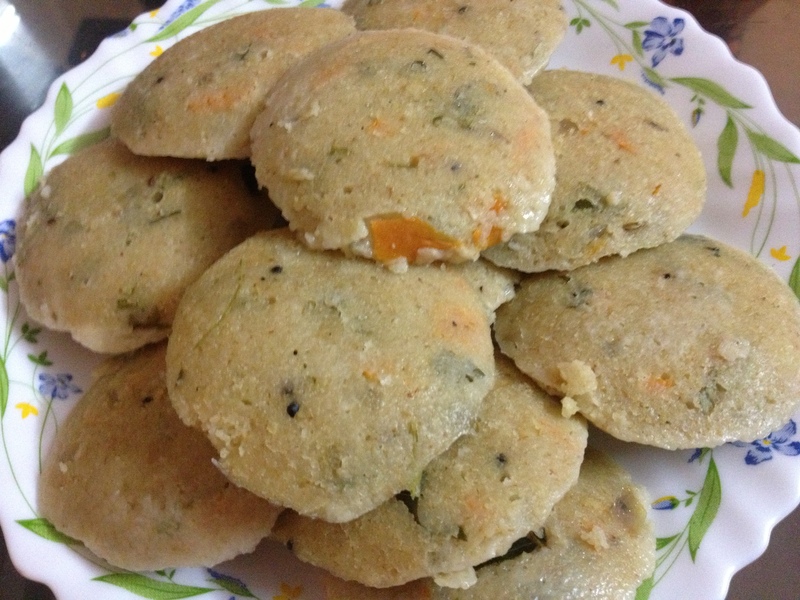 Add a spoonful of batter to the idli moulds and put them in the steamer. Cover the steamer with a lid and let it cook for 7-8 mins. This mixture yields 18 Idlis in total. Uncover the goodness after a while and serve with Garlic Rasam, Tomato Thokku, Coriander Chutney or Tiffin Sambhar.